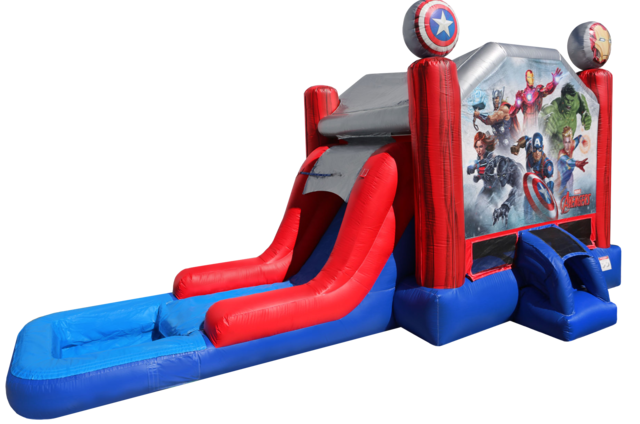 Bring the Thunder to your next party with earths mightiest super hero’s! 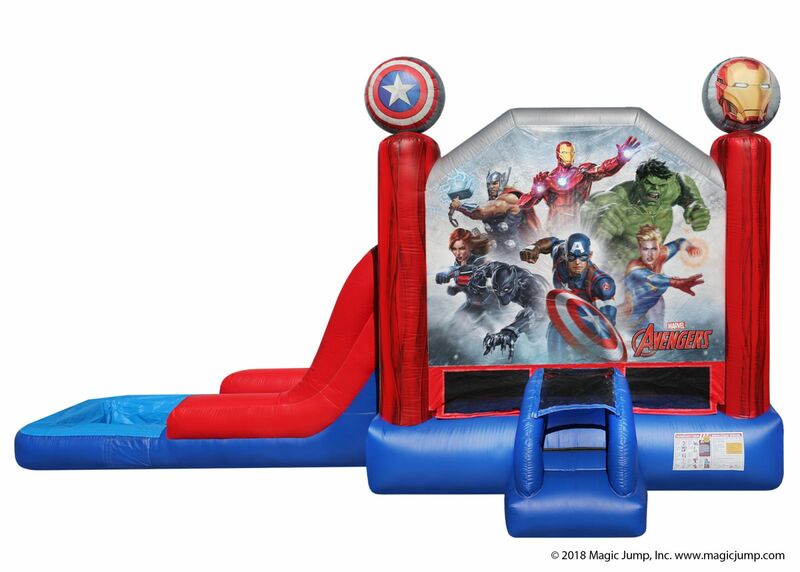 The avenger bounce house combo is designed with fully licensed digital art work with all your favorite Marvel Avengers Super Hero’s like Iron Man, The Hulk, Black Widow, Thor, Captain Marvel, Black Panther, and Captain America! This jump house has plenty of space to bounce hop and skip! It also comes with a slide, pool and a built-in basketball hoop. The slide can be used wet or dry! This unit also comes with additional safety features like the safer entrance/exit ramp and emergency exit. 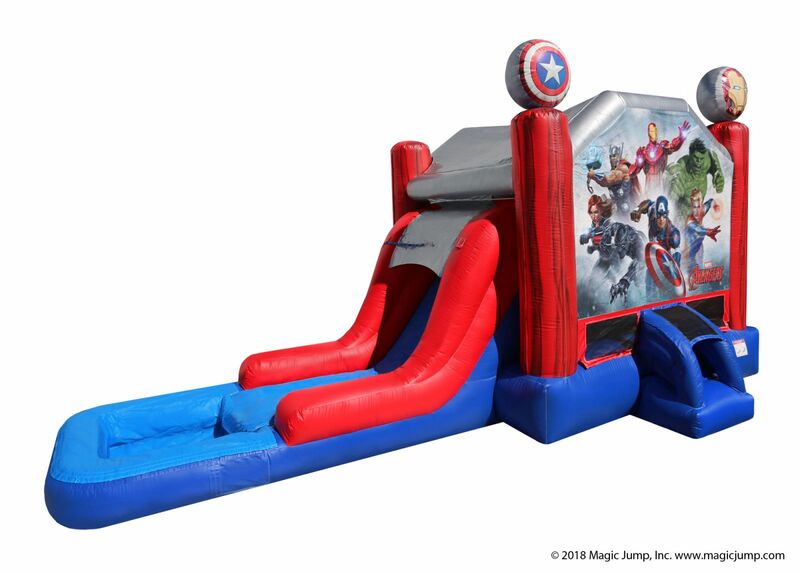 The Avenger Bounce House Combo is an incredible ride suited for all occasions.